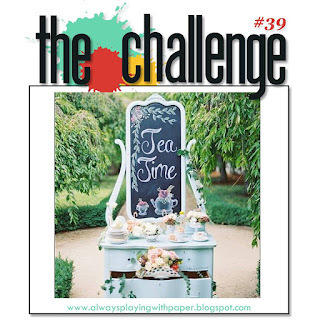 The Challenge is back again with a new challenge! 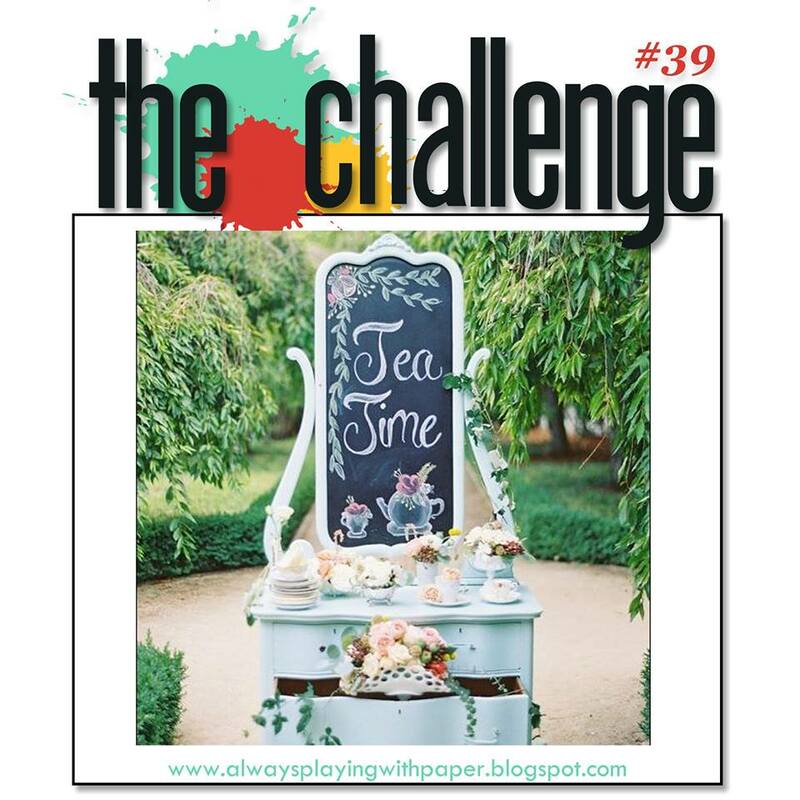 This week we've got an inspiration challenge for you. I was inspired by the photo's tea party theme and the soft, pretty colors. The layout for my card comes from the current Deconstructed Sketch. I colored the teacup image from the Reverse Confetti Be a Barista stamp set using Copic markers, then filled in the "tea" with kraft colored pigment ink. After cutting out the colored image, I used foam tape to adhere it to a white die cut tag. 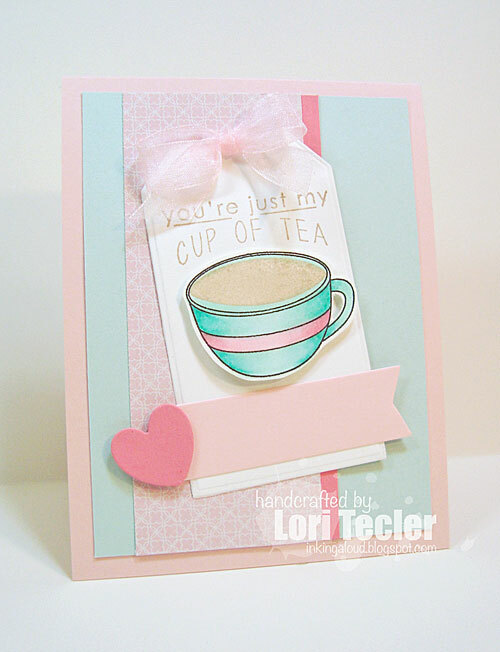 The "you're just my cup of tea" sentiment was stamped just above the cup in kraft ink. A fishtail flag strip, anchored with a rose colored heart, was adhered just beneath the teacup. I topped the tag with a pink bow tied with my Bow Easy. It's been a while since I used it and I'm glad I remembered how it works! I attached the finished tag to a blue cardstock panel that I'd topped with a strip of girly pink patterned paper. The finished panel was adhered to a pale pink card base. 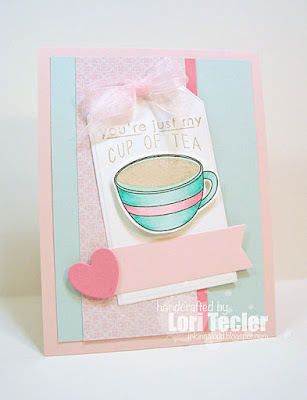 congrats on being chosen to be a DT on MOJO Monday, your blog is Lovely I came to visit and you have lovely cards. I am now a follower and I hope you will come and follow me as well. That ribbon is so pretty! Beautiful card! So pretty...soft and sweet and very feminine. Makes for a gorgeous card.